The ocean is an amazing place full of many unusual forms of life. You won’t believe the size of these 18 colossal sea creatures. Wait until you see what lurks beneath the ocean’s surface. The blue whale is the largest animal ever known to exist in the world. They are nearly 100 feet (30 m) and weigh a staggering 180 metric tons. The blue whale’s heart is the size of a car, just to put things into perspective. 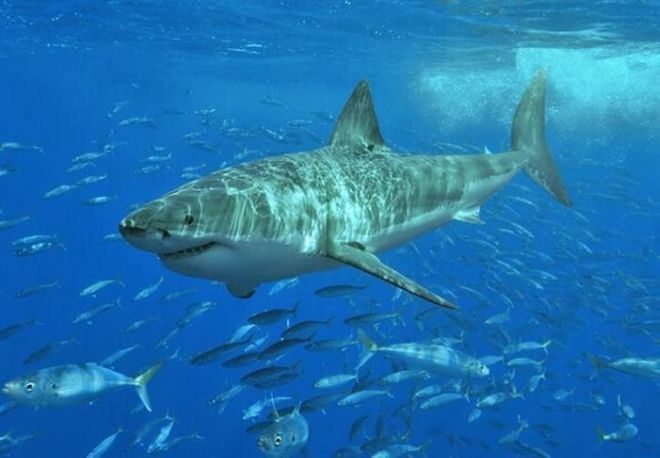 Everyone is familiar with the great white, especially after the 1975 hit film, Jaws. Adult males can grow up to 21 feet (6.4 m) and weigh over 7,000lbs (3,175 kg). They are typically found swimming the waters in South Africa, Mexico and Australia. 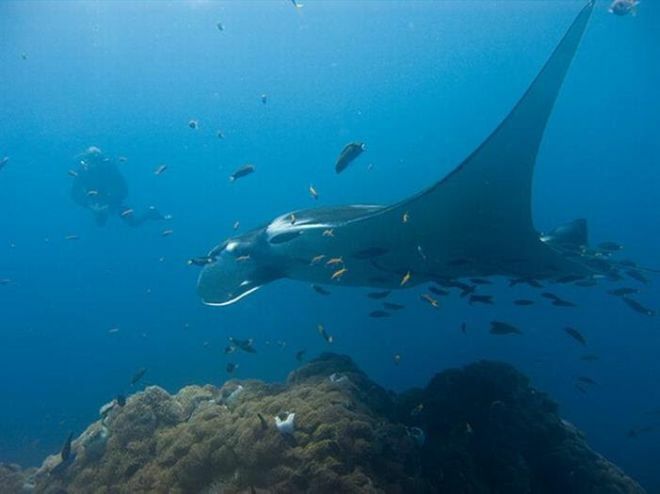 Ocean mantas can grow over 30 feet (9 m) in width and have a lifespan of about 20 years. They make their home in tropical and subtropical waters, primarily in Thailand. 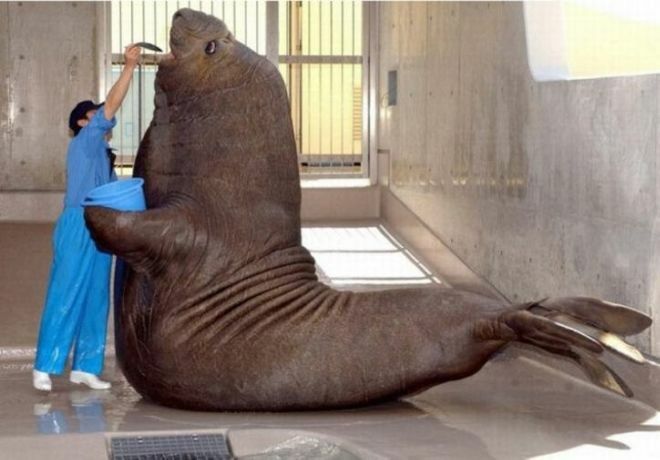 These massive creatures are the largest of the seal family, weighing anywhere between 8,800 lbs (4,000 kg), and measuring over 20 feet (6 m) for males. Believe it or not, they actually get their name from their trunk-like snouts. 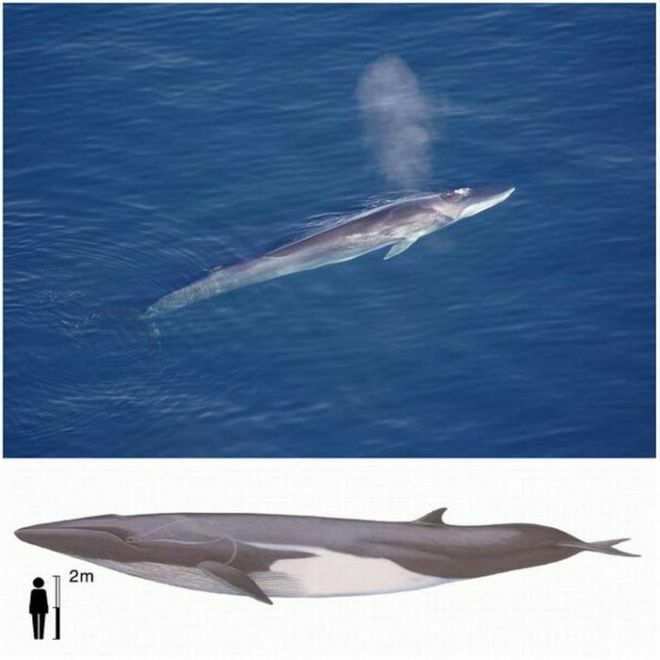 The fin whale is the second largest behind the blue whale. They are more commonly referred to as razorbacks or common rorqual and found in the Northern Atlantic and Southern Hemispheres. Adults grow to reach around 90 feet (27.4 m), with and tip the scales at over 80 short tons (74 metric tons). 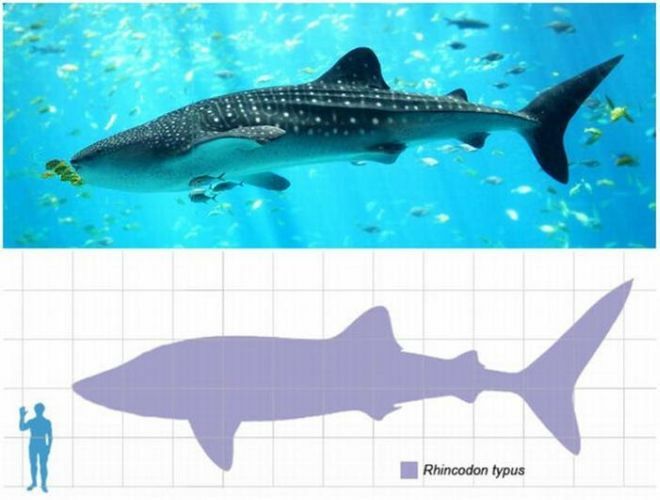 If you thought the great white was large, wait until you see the size of its distant relative, the gigantic whale shark. Whale sharks are slow-moving filter feeding sharks. They weigh around 21.5 metric tons and can grow over 42 feet (12.8 m), and are known to pop up throughout the South African waters.